One of the things that our guests continually appreciate here at the Bridges Inn at Whitcomb House is the quality and variety of coffee and tea we have available. 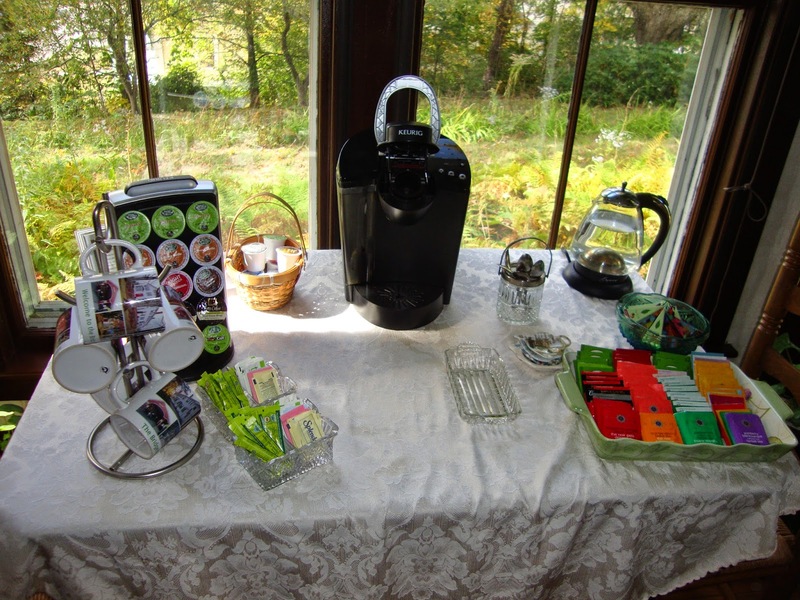 An assortment of Keurig K-cups and tea galore. Speaking of Stash Tea, we participate in the Stash Tea Bed & Breakfast program. We accept Stash Tea stay-one-night-second-night free certificates. For details, check out Stash Tea online or on specially marked tea packages. Brewed coffee from fresh roasted coffee beans from Prime Roast in Keene. We normally brew Demon roast or Ethiopian roast, but we get other roasts and blends as well. We always have decaf from Prime Roast available, too. Many of our B&B guests stop off at Prime Roast to get coffee, ground or beans, before they head for home. Check out their exciting new project: Prime Roast Company - Brick House Roastery. We start by grinding beans and then perk each pot fresh each morning. And we perk as many pots as we need. We have Bridges Inn mugs as well as cups and saucers to match the china pattern we're using that day. If your schedule doesn't allow you to stay for breakfast, you can ask for your coffee to go. We have sweeteners to fit most every palate (or diet): cane sugar (granulated, organic, and cubes); Splenda, Equal, and Sweet 'N Low (saccharin); Truvia (stevia); plus equivalents. We also have local honey, which some tea-drinkers request. We offer light cream, whole milk, and fat-free milk. 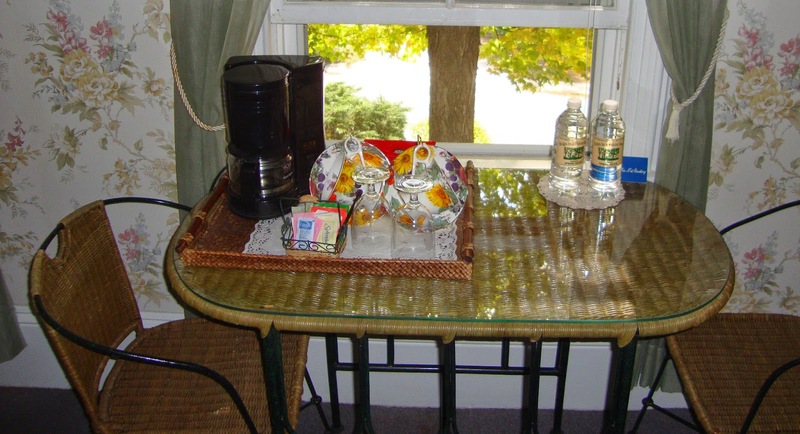 So that guests can make in-room coffee any time of day, every guest room has a coffee maker, cups, and supplies on cozy wicker tables with matching chairs. Shown below are coffee stations in the Slate Bridge Room (top) and the Coombs Bridge Room (bottom). So if you're a coffee or tea lover, we think we've got you covered here at the inn. And if you drink neither, maybe you'd like a cup of hot chocolate. 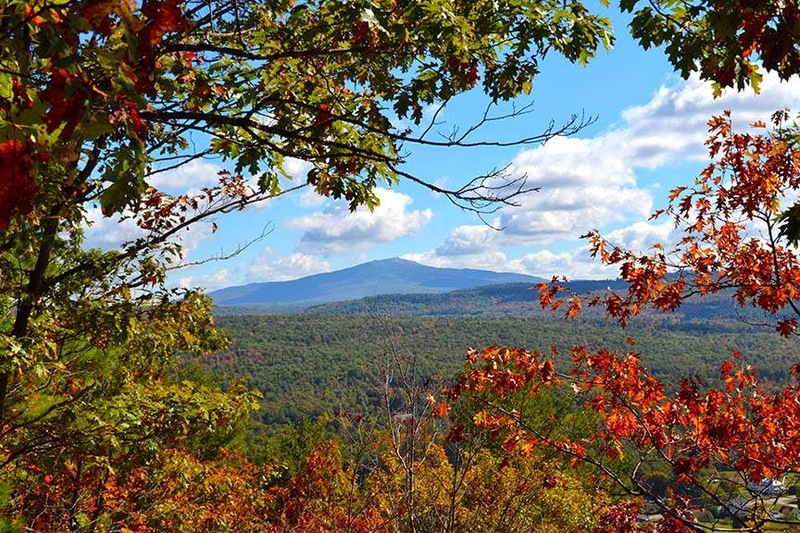 Autumn is a beautiful time of year in the Monadnock Region and there's plenty to keep you busy. The region abounds with colors. Our favorite Thompson Covered Bridge is a stone's throw from the inn. 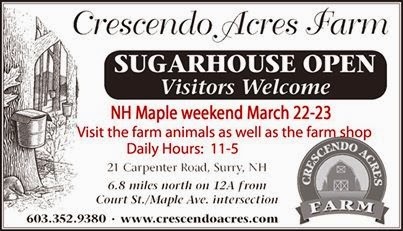 Also worth a visit is Crescendo Acres farm, north of Keene off of Route 12A. In addition to autumn crops, we love the alpacas. 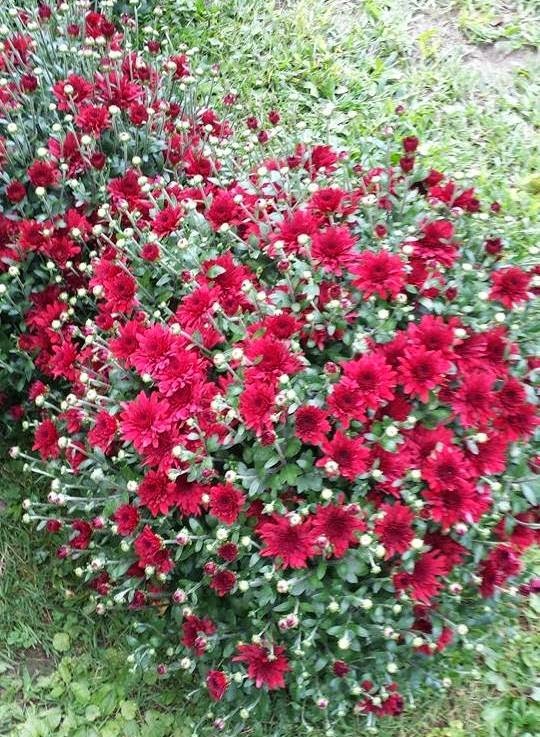 The mums adorning the entrance of the Bridges Inn are from Crescendo Acres. The alpacas, of course, are there year-round. 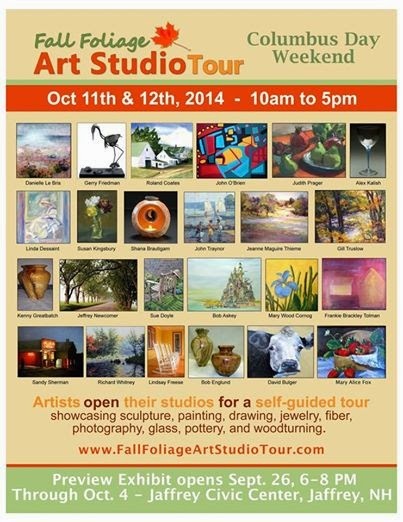 If you're in the area on October 11th or 12th, the Fall Foliage Studio Art Tour gives you the opportunity to take a self-guided tour to the studios of participating local artists. This is always a 'must' for us. 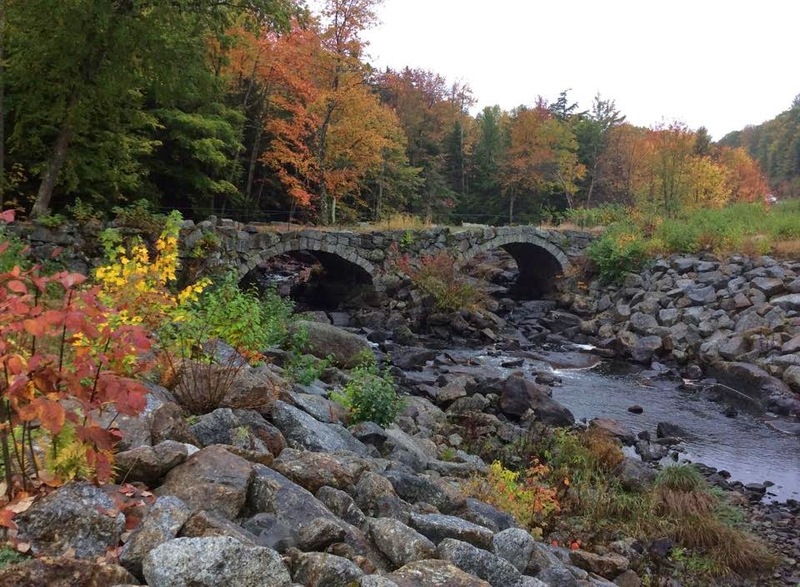 You might also want to check out the State of New Hampshire's Fall Foliage Tracker app, which allows you to find where and when the peak colors are. The photo below is from the website of the New Hampshire Division of Travel and Tourism Development. 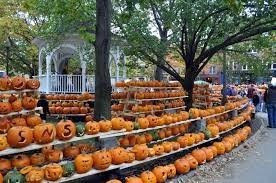 Many people come to the region for the Keene Pumpkin Festival, which is on October 18th this year. 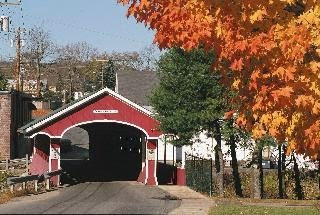 Whatever brings you to the area, we hope you will stay at the Bridges Inn at Whitcomb House. We are full weekends in October, but we do have availability week-day nights; or you can reserve for autumn 2015. 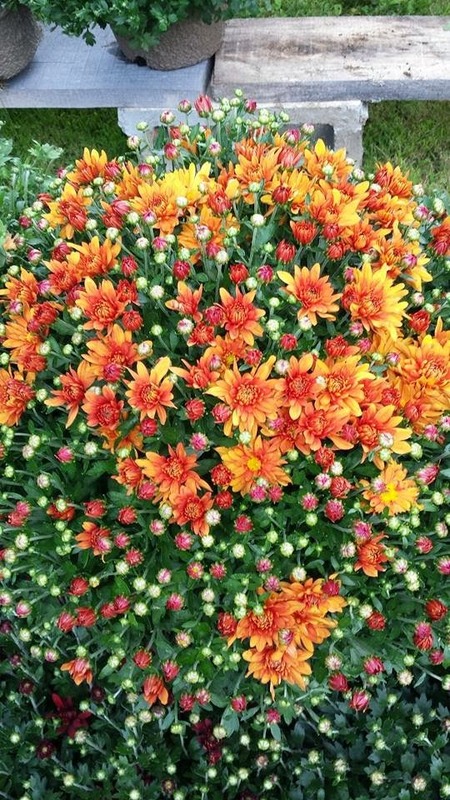 Have a wonderful, colorful autumn! In much of New Hampshire, one of the early signs of spring is when the maple trees are tapped for sap. The conditions have to be just right with cold nights and warm days which allow the thawed sap to run. The Faulkners from Covered Bridge Maple Syrup House in West Swanzey, right next to the Slate Bridge, tap the large, old maple trees at the Bridges Inn. And after the sap is boiled down, they deliver maple syrup to us. We love serving it with breakfast. Crescendo Acres Farm, in Surry, just north of Keene. We often get maple syrup from Crescendo Acres and love visiting them not just for maple syrup but also to see their mini horses and alpacas. 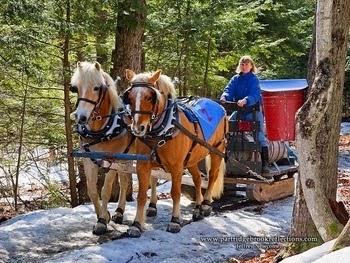 The 15th annual horse-drawn sap-gathering contest at Stonewall Farm in Keene, 9:00 AM on March 22nd. 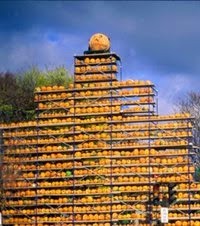 In addition to the sap-gathering contest, there's plenty to do at Stonewall Farm. 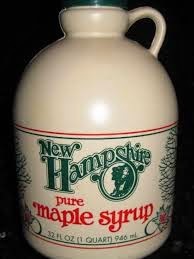 In addition to serving fresh maple syrup on pancakes and other breakfast food, we sell maple syrup at the inn. We hope you'll come see us!